Welcom to the August kit Glam Camp Blog Hop! You should be arriving here from Mariah's blog. If not, you can start overhere at the Clique Kits blog to hop all the way through our blog hop list. 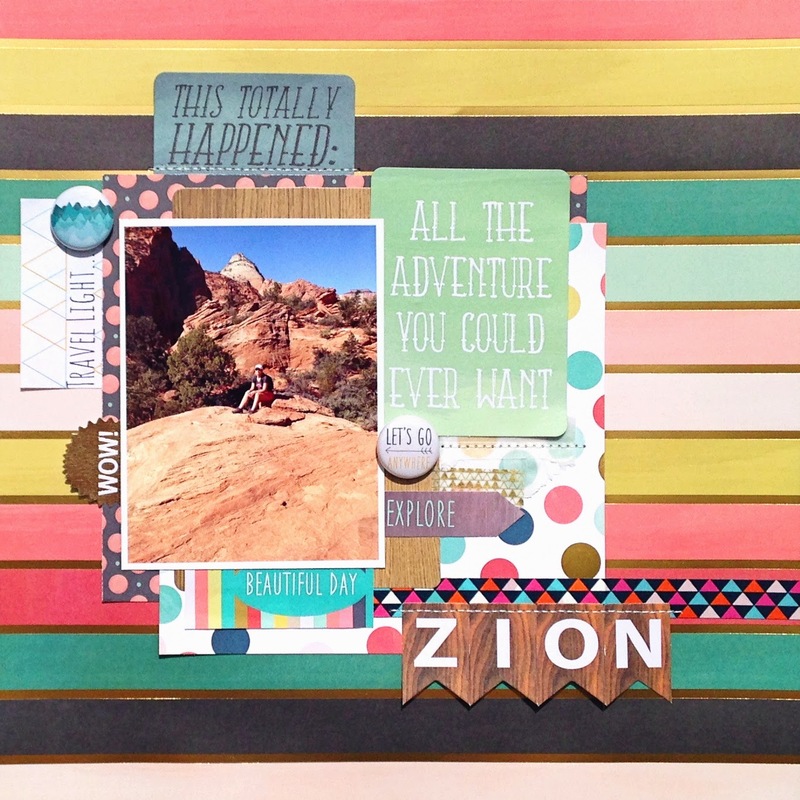 The challenge this month is Wild & Free, which is a perfect theme for this month's kit. I went for a picture taken while hiking at Zion last year. I think the colors in the picture were a great match to the My Mind's Eye Market Street papers. Now be sure to stop by each blog for your chance to win the Clique Kits giveaway! Thanks for stopping by and enjoy your day! Your next stop is Alisha. beautiful job! Love the stitching and the way you layered the journaling cards and tags. Zion looks like a beautiful place. This is gorgeous Danielle! LOVE that you stitched the banner on for your title and all your layering is fabulous! I love the bold background and all of the little things layered around your photo. As always an awesome job!! I love this layout. I love the layers and the little bit of stitching. This is sooooooo gorgeous!!! I loveeeeeee the colors!!!!! LOVE this layout! and that PICTURE! so amazing! I love all the pieces throughout the layout. It really draws your eye around the page. I do find it funny that we both used the SAME two cards on a layout for the blog share and we used them in a similar way :D Oh and I adore that you used that yummy stripe paper for the background. Awesome layout, Danielle! I love the multi-colored stripe paper in the background!! 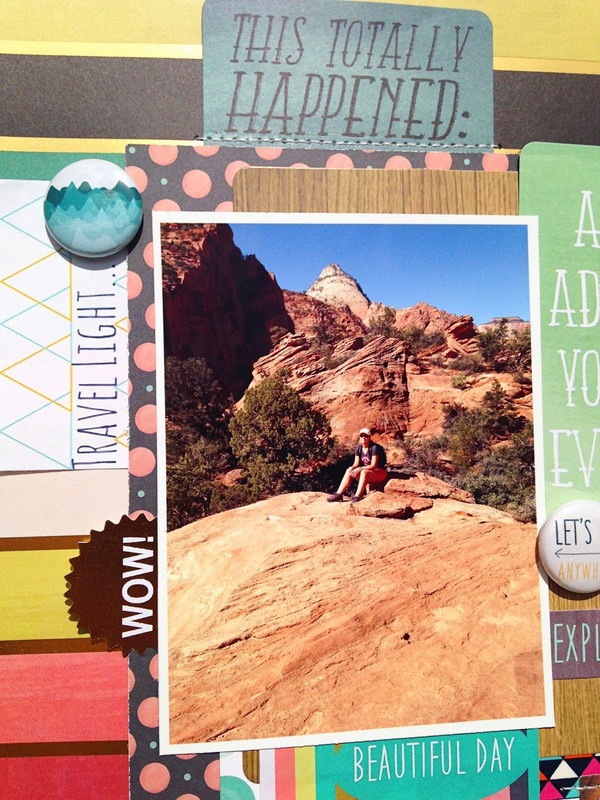 Danielle, thank you for sharing your pretty layout....I love all of the elements that you used to tell your story!! I so adore this!! I love that you look for things in you photo that go with the paper, girl after my own heart! Your story is told perfectly with your beautiful photo combined with the exclusive printables & the Market Street cards! 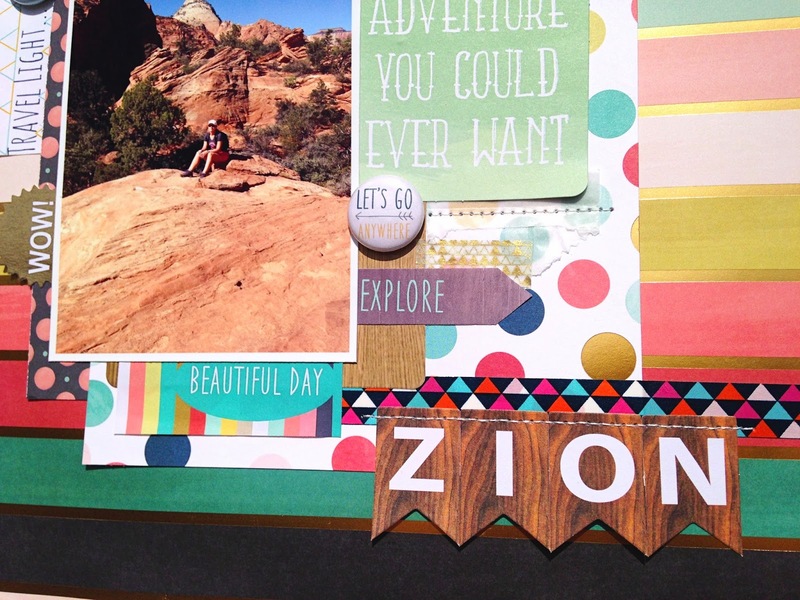 I love Zion what a great layout and picture super fun. Great use of all of the fun glam camp products! Whoop whoop! !